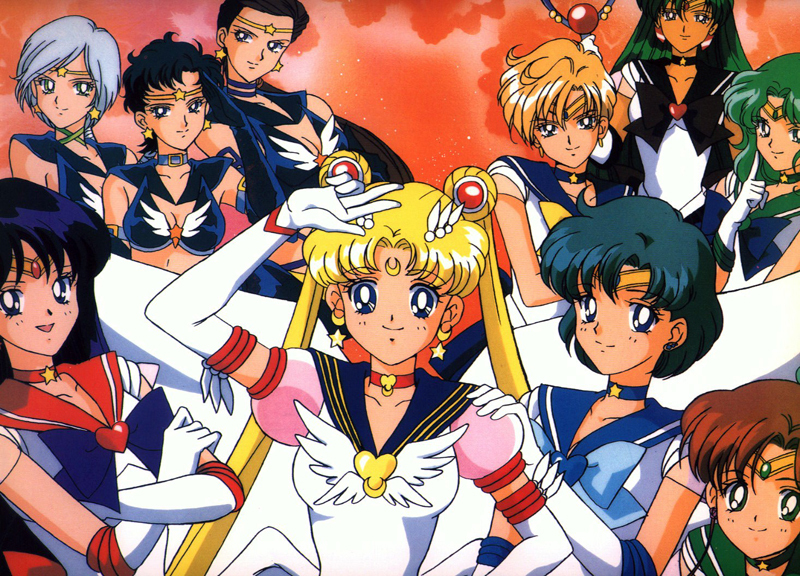 Sailor Moon fans will be so happy to hear this bit of news. As per a post by ICv2, Toei animation is doing what it should have done a few years back and put the 200 episodes of Sailor Moon up on the auction block. More specifically, Toei will offer the episodes on the MIPTV market at the Cannes film festival soon. Basically this means that they are offering the show to any network and licensee who wants to possibly air it on their networks. Hey Cartoon Network. Want to make a third BIG FAIL and ignore this offer? Your marketing morons missed out on Naruto Shippuden to Disney AND just recently Dragon Ball Z Kai to Nickelodeon. It's ok, you guys can continue to ignore anime... and also hate money...keep airing Tim and Eric's cheap live action show at night, I'm sure the 5 people who watch that will make your advertisers happy. We'll see who takes Sailor Moon but if an American network takes the obviously smart choice...it'll include ALL the episodes. This includes the beginning episodes that the fools at Dic cut as well as the last season (Sailor Moon Stars) that NEVER showed here in America back when Sailor Moon got a second major airing in the US on Toonami's block, early last decade. The reason why the last season was never shown here in the US was because the last 3 Sailor Scouts was a boy band that transformed into girls during battle. At that time, boy bands like N'Sync and Backstreet Boys were the big fad and such a popular show probably would have pissed off some people. Of course, we find out about 10 years later, Sailor Moon's last season would have simply brought out the truths about the former boy bands. Funny enough, my fiancee just ordered the entire Sailor Moon manga series that she didn't have AND ALL of the subbed, uncut episodes ^^;; I guess we should have waited just a bit. Sailor Moon is anime 101 and if you haven't seen it or at least know of it, you are not officially an anime fan -_- Watch Sailor Moon un-cut and you will see that it's NOT some Japanese Barbie show, dispute what most may think. If Disney or Nick get it, there will be some parts edited out but hopefully not the ridiculous editing/ Americanization of names that Dic did so many years ago.